cartomak data upgrades every Webshop and any ERP system to an European platform. The improvement of data exchange with your suppliers, on your own systems, without the disclosure of information to third parties - that is our business. No fees - no commissions. You are alone with your suppliers. Our customers use desk tyreline, Microtech ERP complete, SAP and Navision. We handle the maintenance of article databases since 1986. A natural affinity for data, software/hardware and a certain obsession to make things right had always fascinated us. For that, for over 30 years we have been building up article databases for our customer’s ERP Systems all over Europe. Through an unique article number – also for the articles without EAN/IPC/HSN – we never interfere in the direct and, above all, discrete data exchange made by our customers. 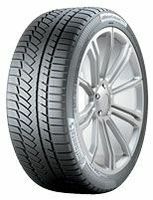 Article database for tyres and rims for every European country. Integrated search possibility for tubes and flaps that match a tyre-article. Advanced display with 200 different information columns per article. All technical specifications professionaly structured. Daily updates of the master file – also with additional files for new and/or modified articles. Display of the old, current and future list price. Sophisticated editing of the profile name for the professional indexing by the search engines as well as for the ERP Systems. Three description fields for a meaningful article display for the invoice printout and webshop as well. Different applications for each article. Automatic linking with cartomak profile pictures. 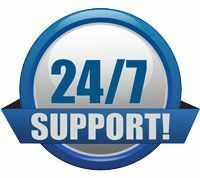 24/7 customer support on www.cartomak.com and also by phone. Data Output in cartomak format (recommended). Data Output in PRICAT format (limited representation as not many columns are available). Data Output in XML format. Data Output in ANSI, UTF-8, UNICODE, UNICODE BIG ENDIAN. Visit our webshop www.cartomak.de and convince yourself of the data quality. For further questions please contact us per e-mail. At cartomak we capture and manage stock information from European wholesalers. In the process, we not only rely on the major industry players but also we link many specialists who are truly unbeatable in their field. We read the positions available in their stock – also the ones without EAN / GTIN / IPC / HSN / MPN – everything, including tubes, flaps and RDKS sensors. The result consists in matching tables containing the information : cartomak article number = supplier article number. That’s the only information we have related to the articles. And we don’t want to know more. We are not interested in the price of the articles. Our data customers simply import the matching tables in their own ERP System. Precondition: Your supplier must first agree that we transfer it's article numbers to you. Therefore, you must only know the article number of your supplier- nothing else. After that, when you receive a stock-and-price file from your supplier your ERP System will be able to read all data immediately. Your ERP System will recognize your supplier’s article number directly. Absolutely no information from this process will reach cartomak. In this process, the exchange of informations is between you and your supplier only. This means: there will be no transparency, everything will remain confidential between you and your business partners just like in the good old days. Many suppliers avoid providing their stock information to Platforms. As our data customers don’t hold any open b2b system, they are not affected by these restrictions. Our past experience showed us that even the fiercest competitors can make “agreements” and it is amazing what a positive effect can have data exchange on sales growth. For that, we don’t have to “love eachother”. One just have to realize that no one can be Number 1 anymore. Our European market is already too crowded and, just like we learned in physics, “Actio est Reactio”. No one can be Number 1 anymore. The multilateralism is the best long-term strategy to run a business. Desk Tyreline (www.desk-firm.de) based on www.sage.de. The product Desk Tyreline is able to build up a complete operating platform within your company. It can process up to 2.000 documents every hour, without any problem. A list of the suppliers whose article numbers we manage can be found here. If interested, please contact us by email. Our customers in Europe and Australia operate exclusively mission critical web commitments and use SAGE, SAP, Navision and Microtech. Therefore, we are available for you 24 hours a day, with 12 employees, seven days a week. The cartomak Team speaks seven languages fluently and our Support Chat can be simultaneously translated into 142 languages. cartomak developed all applications "in house" - the only guarantee that we can fix “stuff” ourselves and anytime. Our data maintenance is always available online. The status of our Supplier Maintenance (Matching) is constantly kept in a blog. The errors in Article Maintenance are published completely transparent by the Support. Our customers enjoy a first-class service that is included - of course free of charge - as part of the data subscription. The foundation of our Vehicle Database is the Federal Motor Vehicle Office Database – the same database used by the official regulatory authorities. With more than six million vehicles – a huge relief for our daily business. The Vehicle Database includes : passenger cars, motorcycles, light trucks up to 12 tonnes, trailers and campers. For customer support purposes, we all store on our servers important informations like OE tyres, Authorizations and Clearances or Fitting Instructions. Additionally, important COC informations are available. Eventually, for the “search mask” , an individual programming is possible according to your requirements. The necessary SQL parameters for product search will be delivered to your ERP System or webshop as output. It doesn’t matter what system you are using. The cartomak Calculator is our „Jack of all trades“ tool. As an external tool the cartomak calculator runs on any Apache with MySQL database. It has no special hardware requirements. Rent webspace somewhere - no matter where. The default configuration is sufficient. The calculator does only one thing: calculating - but it does that well and it’s lightning-fast. Equipped with the cartomak article database and the supplier article numbers, it reads any price file that you give it or your supplier transferes. The calculator is able to include in the calculation every field of the article database and of course pricelist values. As a result, export files are created that can be imported in any ERP System or webshop. An infinite number of rules can be created which could be very complex depending on the amount requirements. Which supplier has the best price? Display in the webshop only supplier stocks with more then 4 pieces available, but from motorcycle tyre articles the ones with 1 or more pieces available. Display in the webshop, for each article, only so many suppliers until a total of 12 pieces available is reached. Display in the webshop all articles from suppliers XY, but hide the manufacturer Maxxis from the suppliers ZX. Display in the webshop all suppliers, but my own stocks with priority, and display stock from other supplier only when my own price is 5,00 Euro more expensive. There are no limits in mixing the rules. You can let the imagination run wild. From cartomak calcularor’s point of view a supplier is a source of goods. It may be the manufacturer, a fellow colleague, a wholesaler or a competitor as well. The beauty of it: As long as your ERP is able to import purchase prices, then the result of the calculator can be imported also in your ERP. And the best of all: It all stays on your computer. No incoming price is disclosed. In case your turnover then explodes … 2.000 documents per hour – fully automatic, supplier order included – can be handled by TyreLine from www.desk-firm.de. Basically we deliver quality profile pictures for your tyre&wheel articles, in the format 400px X 400px, with the extension * .jpg for your webshop or ERP System. Linking the picture with an article is not necessary. The name of the profile image file matches the profile name. So the profile finds the profile image file name, and vice versa. This represents a huge time saving and no maintenance required. All images are kept in a ZIP file ready to download. Just unzip and copy to your Web server. How profile pictures can be integrated into your webshop learn here. 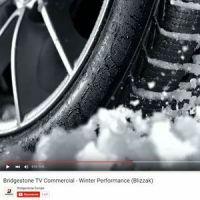 Tires and rims are cutting-edge technology. We are dealing with a countless number of specifications that need to be explained. This is were cartomak content comes in. By querying by the cartomak article number the cartomak content servers will provide all information available for this article in detail. Within the information stream you are free to choose whether, for example, to use profile or manufacturer descriptions too, or only the explanations on the technical specifications. Relevant informations displayed over more than 90 columns. Usage and types of vehicles explained. All specifications displayed and, when necessary, conversion provided (for example, Load in kilograms). Relevant informations for safe usage purposes. Description of rubber compounds and profile design. Legal EU-Labeling explained. General tyre test results. Individual rating test results which allow evaluation based on one’s specific priorities. Numeric conversion of speed indexes, as well as comments on load reduction required starting from speed index “V”. Detailed profile descriptions with marketing informations provided by the manufacturer. Available in many European languages. Sometimes one does not want to know everything.. Given fact is that all registered wholesalers offer in the market about 130.000 different articles, tyres, wheels, tubes and flaps. We expect every 15 minutes 750,000 price offers. This is high frequency trading – how else could we call that. In the past, we used to make our purchasing strategic decisions based on the instinct developed over many years of experience. But the circumstances have changed. The number of manufacturers and articles has exploded. Budget brand articles show our customers decent test results. Therefore, one can’t afford to ignore a manufacturer. Through the Internet, our customers enjoy full transparency across all national borders. The cartomak Statistics Module is integrated in cartomak Webshop. For each article there’s a price history available. Additionally, an extended version is available for our data customers .